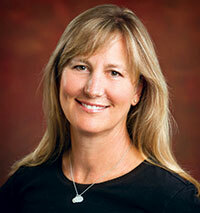 The Center for Diabetes and Endocrinology, a NorthBay Affiliate, now has two Certified Diabetes Educators (CDE). Nurse Practitioner Susan Rosten recently earned certification after completing rigorous eligibility requirements and an examination. 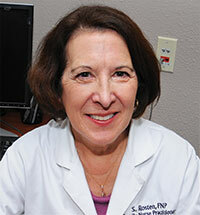 Susan, a nurse practitioner for more than 15 years, is now focused on diabetes care. “It was really important to me to take the extra steps to qualify for this certification,” Susan says. “It adds credibility to my role here and credence to the organization as a whole.” Achieving certification demonstrates to people with diabetes and employers that the health care professional possesses distinct and specialized knowledge. Patient Education Coordinator Collette DaCruz, R.N., first received her CDE from the National Certification Board for Diabetes Educators five years ago, and was recently re-certified for another five years. She is the second educator in the center. In addition to having two Certified Diabetes Educators, the Center for Diabetes and Endocrinology has a Diabetes Self-Management Education program accredited by both the American Diabetes Association and the American Association of Diabetes Educators, indicating their commitment to high standards. The NorthBay Center for Diabetes and Endocrinology is using a new interactive type of diabetes education. “Participants are encouraged to share their knowledge and draw from each other’s experiences, which can be a powerful way to learn and gain support,” says Collette DaCruz, R.N. The classes run in a series of four beginning with the “Overview of Diabetes” and then “Healthy Eating.” Next is “Monitoring Diabetes” and finishing up with “Natural Course of Diabetes” to tie it all together. Classes are held once a month on Saturdays and interested people can attend with a referral from their primary care provider. 1010 Nut Tree Road, Room 290, in Vacaville. Call (707) 624-7996 for more information.